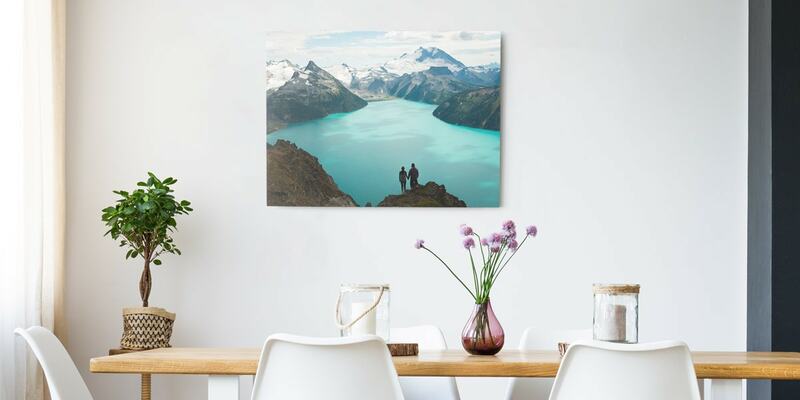 For an industrial look and modern wall art, print your photos on aluminium! Our high quality Dibond aluminium is made to last. Each aluminium print is handcrafted in our own production facility, guaranteeing the highest quality. Your photos are printed in sharp detail and a matt finish to prevent reflection, mounted on strong, 3mm thick Dibond material. Aluminium Dibond is equipped with a white underlay which brightens the white areas of your photo, making it perfect for your favourite black and white photos. 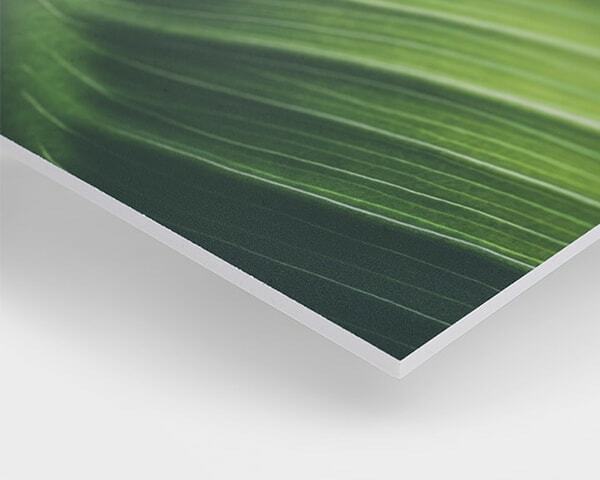 Pick the perfect spot on your wall and give your aluminium print an extra touch by adding layouts. Our specialists will make sure your aluminium print looks perfect. If you’re not happy (though we’re confident you will be), all you have to do is get in touch and we’ll refund you or reprint. Our customer care agents are available 7 days a week. The shipping costs start at £ 6.99 plus £ 2.50 per additional wall art. Thanks to our online tools, you can create aluminium prints of stunningly high quality in just a matter of moments. Simply choose from Portrait, Landscape and Square formats and select from a range of sizes. Once you've uploaded your photo, an impressive array of effects (including black and white and sepia) can make your aluminium photo prints look all the more artistic. 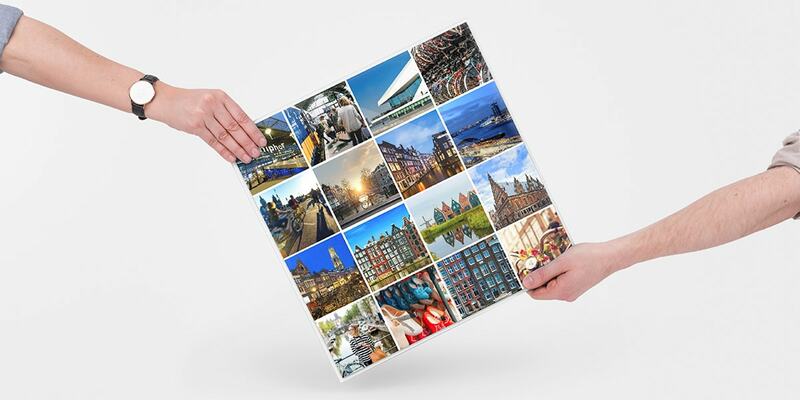 And if you can't settle on a single image, why not create an aluminium print featuring up to 81 different pictures? 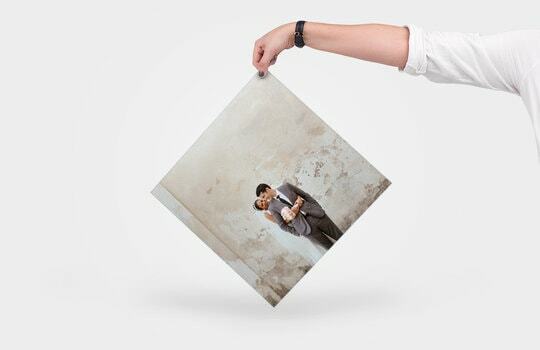 Once you've taken full advantage of our layout options, your aluminium photo print is sure to be as chic and smart as it is full of personal sentiment. Searching for a fun, contemporary way of injecting new life into those family photos? Our premium aluminium prints offer razor-sharp image reproduction and a durability that will leave them looking good year after year. Suitable both for indoors and outdoors, photos on aluminium make a stylish addition to gardens, patios and terraces as well as all around the home. And that's not all, their versatile invisible hanging system ensures that aluminium mounted prints are just the thing for a range of other modern spaces too, adding a feeling of instant luxury to offices, foyers and waiting rooms. 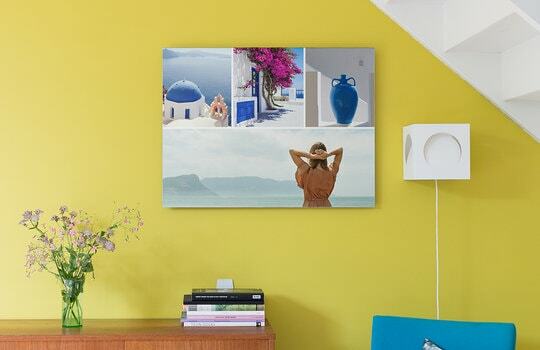 With their sparkling colours, deep contrast and close-grained detail, aluminium picture prints bring out the very best in your favourite photographs, turning personal moments into beautiful wall art. 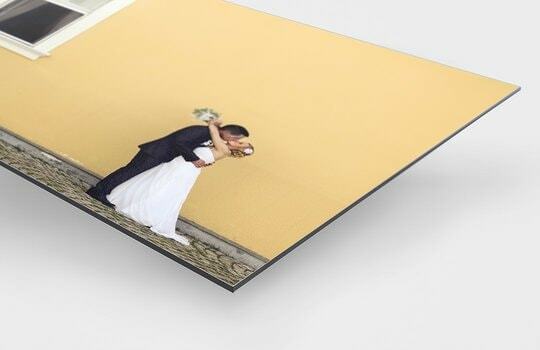 And when you order from bonusprint, a photo on aluminium is an absolute cinch to customise. Plus they are available in a selection of sizes and formats, allowing you to scale your project to the proportions of your wall space. Read on to learn about more aluminium print options. Metal photo prints are a long-lasting way of capturing treasured moments with family and friends. Resistant to ultraviolet rays and inclement weather, they'll stay vibrant season after season. 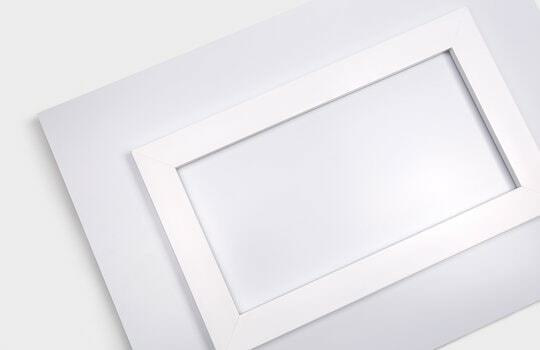 An underlayer on each metal photo print creates bright whites and bold highlights. Meanwhile their matt finish guarantees that bonusprint's photos on metal are free from glare and unwanted reflections. 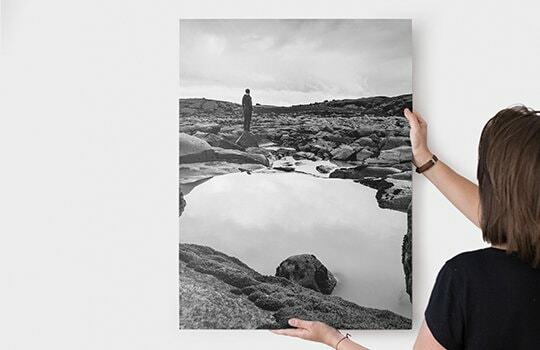 Not only that, you'll be astonished by the illusion of depth on our metal picture prints, with results that look almost life-like. 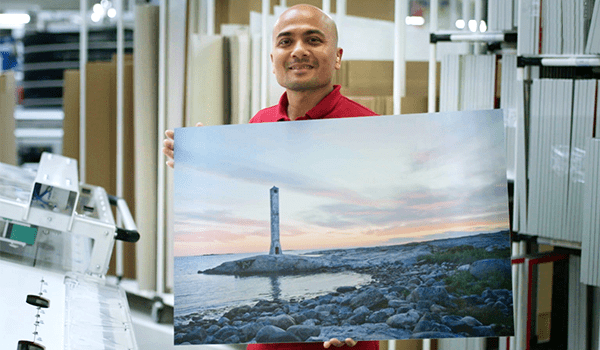 All of bonusprint's photos on metal are made from Dibond aluminium. 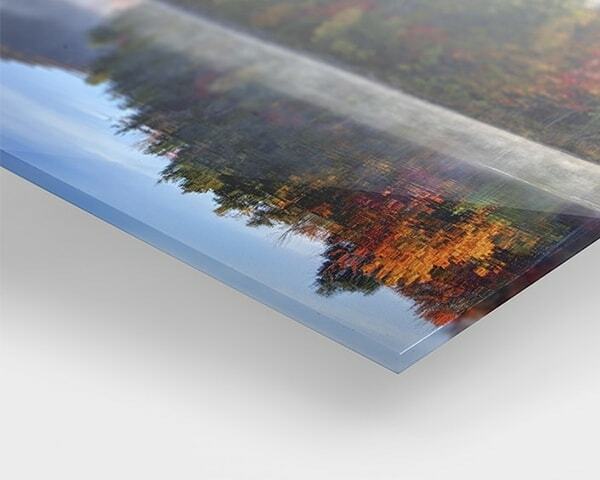 Dibond photo prints are superior because they consist of two layers of aluminium around a tough inner layer of plastic. This means no buckling, rippling or flimsiness, just smooth, even surfaces which add to the professionalism of the finished product. And because it's so sturdy, a Dibond photo print is the perfect medium for large, poster-size images. It's the attention to detail which makes ours the best aluminium prints you'll find anywhere on the internet. 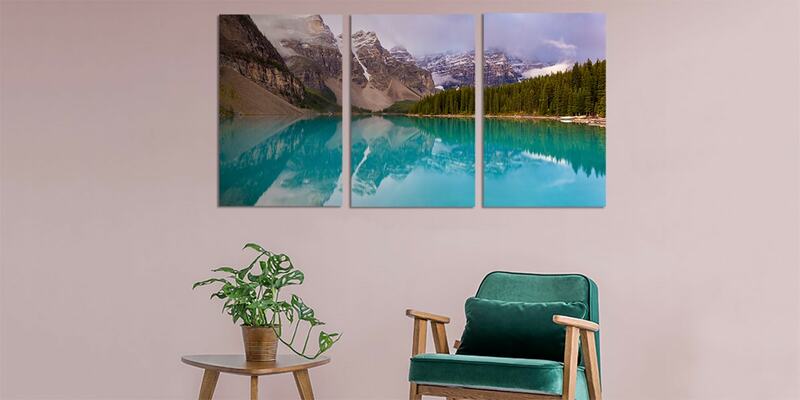 Made to your specifications, our custom aluminium prints come with a padded suspension system to ensure that they hang neatly against the wall. In addition, large aluminium prints measuring 50 x 50 cm upwards feature a supporting frame to likewise guarantee that they rest securely in place. In both cases, the method of suspension is hidden from the front so that nothing distracts from the image on display. When you buy aluminium prints online from bonusprint, you can expect delivery within a couple of working days. If for any reason you're not totally delighted with your order, we'll give you a refund. So act now and buy metal prints to adorn your home and garden.